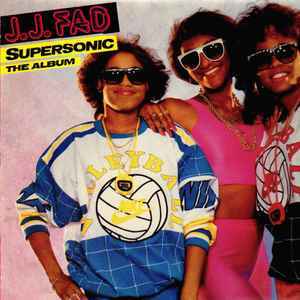 J.J. Fad's debut album, released in 1988, and includes their well-known song "Supersonic". Released on Ruthless Records, the album was released and distributed by Atlantic Records, making J.J. Fad the first artist on Ruthless to be signed to that label (this predates The D.O.C. 's much more famous debut album "No One Can Do It Better", which was released a year after "Supersonic"). "Blame It On The Muzick" samples Model 500 - Time Space Transmat. I've just found it in 2nd hand store almost new. The bass sounds awesome. The pressing is thin but sound is excelent. Simple art from those ages. It's a must for west coast hip hop lovers.